At Shepherd Huts Studios we hand produce all of our lampshades ourselves and use a local company for all of our printing. We aim to dispatch all orders within 1 – 3 working days of receipt. 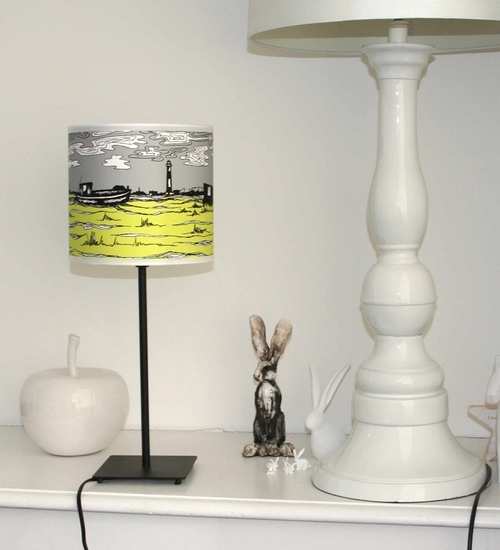 If you have ordered a picture or lampshade with your own choice of colours then please allow up to an extra 3 days for customisation. An email will be sent out to you as soon as your order leaves the hut by the sea and is on its way to you. If you are local, you can take advantage of our click and collect service where you can pick up your product, customised or bought as seen, straight from the shop.